USMC: Historical Leadership and Branding - Brilliant Breakthroughs, Inc.
Do you know today’s the USMC’s Birthday? Why are the US Marines elite? Are you familiar with the basics of the USMC’s foundation? USMC are 4 letters that live strong within me today. Yes, I married a Marine over 30 years ago. Through 2 tours I was at his side, well except for when he was out on duty. Then I had the privilege of having a whole USMC base filled with Marines living in my backyard! Today, I dedicate this post to my husband, SSgt. CJ Mongan, USMC. When I started dating the Marine who just finished his first tour, I had no idea what I was about to experience! What a great history and culture to be immersed within. Who knew I would be awoke from a cold sleep at 4am to marching chants? The answer: any Marine! To this day, my husband can pop out of bed at 4am and be ready to go, fully functioning within minutes. I commend him as I roll over for another tour of slumberland. History holds great value for this elite group. The USMC’s smaller size allows for it, and the Marines, to be experts and agile. Happy Birthday USMC! It was such an honor to go to a Marine Corps Ball to celebrate back in the 80s! Even this celebration honors tradition of the oldest Marine attending getting the first piece of cake and then handing it to the youngest Marine present. Tradition and honor; continuity and respect. The honored leadership, exceptional accomplishments, and tight-knit family the USMC creates is second to none! I remember when my husband was watching a USMC documentary. I looked over at him at one point and noticed he was crying. Yes, crying with pride and thinking of how many placed their feet on the yellow footprints before him and since his day back in the 70s. 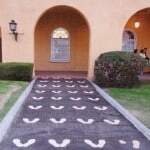 Anyone who is a Marine recalls the infamous yellow footprints (in the photo here). It’s the first activity to occur once a USMC Recruit (they aren’t Marines until they have earned the right to be called a Marine upon completion of boot-camp) steps onto a MC Recruit Depot. I found a great short article in Forbes that when out late last night to honor the USMC’s 239th Birthday. Please review it here: The Few, The Proud, The Marines by Robert Passikoff who writes about branding. Robert did an excellent job in a short article revealing the history and branding of the USMC. 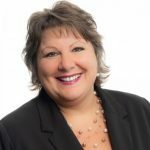 As someone looks upon your organization/business, do they notice exceptional points throughout your business’s history? Take time to create your continuity, your excellence, your leadership style and skills, and your exceptional history – start today! Tomorrow, we celebrate our beloved Veterans. Thank you all for creating the freedom and liberty we have today! Yet today, we honor the elite USMC leadership and performance! I thought I’d share with you something I found in my husband’s Boot-camp Book. It explains what happens once a USMC Recruit steps on those yellow footprints. Thank you for being such a fine example for the rest of us. May our Country and God continue to Bless you, as you have us! p.s. 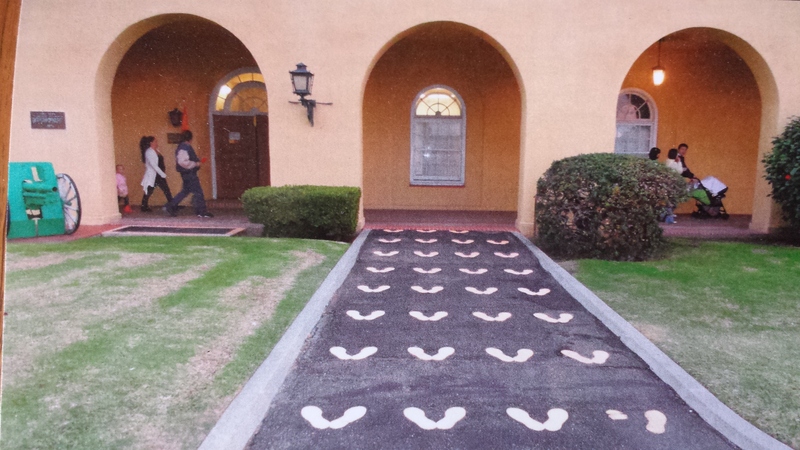 Over 30 years after her husband stepped on these, Maggie Mongan took the yellow footprints photo when she was at USMC’s Recruit Depot San Diego. Do you think the old Marine he was surprised with this treasure?